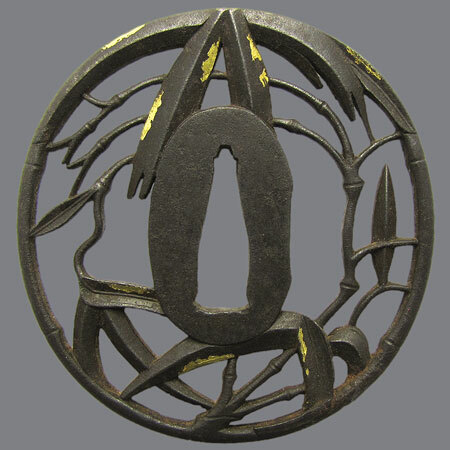 Iron tsuba made of leaves and stems of bamboo. Masakata is the third master from Ito school, worked in the firs half of 18th century. 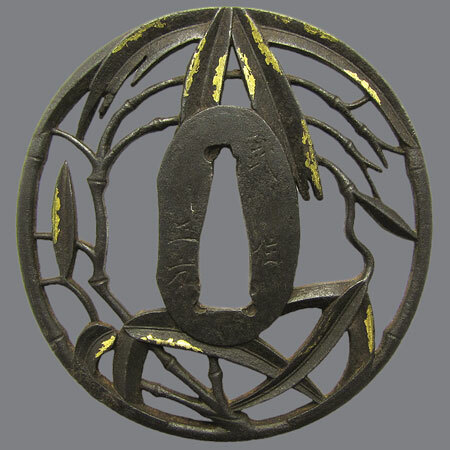 However, this tsuba is made by a later artist of the same school, who signed his works with the same name in 1825-50. 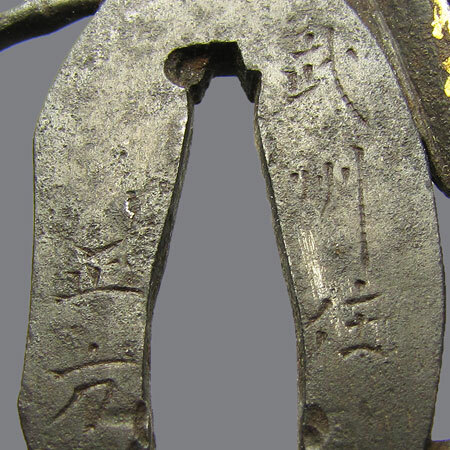 Inscription: 武州住 正方 (Bushu Ju Masakata). Ito school. Nagamaru gata, kaku mimi; 7,2 х 6,9 x 0,4 cm.